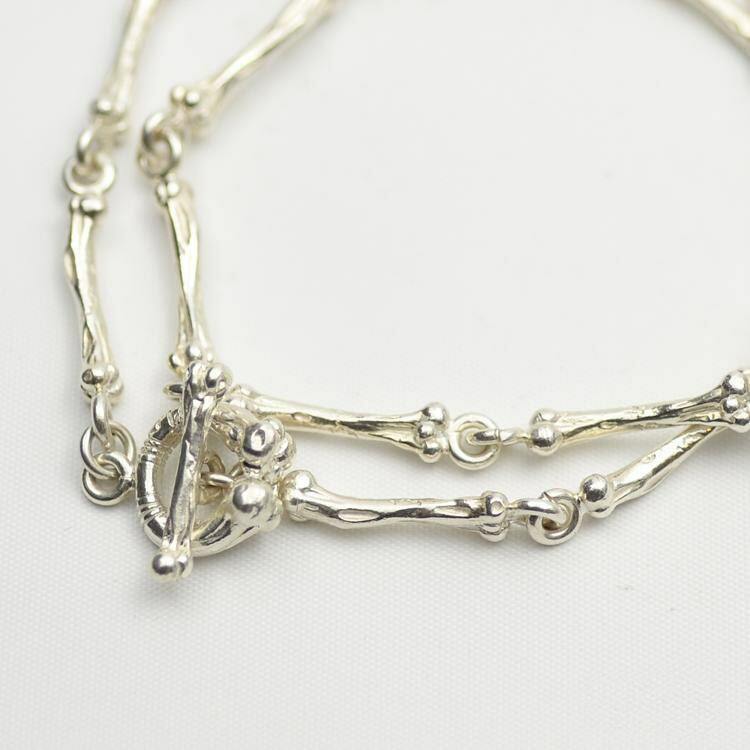 This silver bone necklace is a whimsical, edgy necklace design - a sure conversation starter when you wear it! 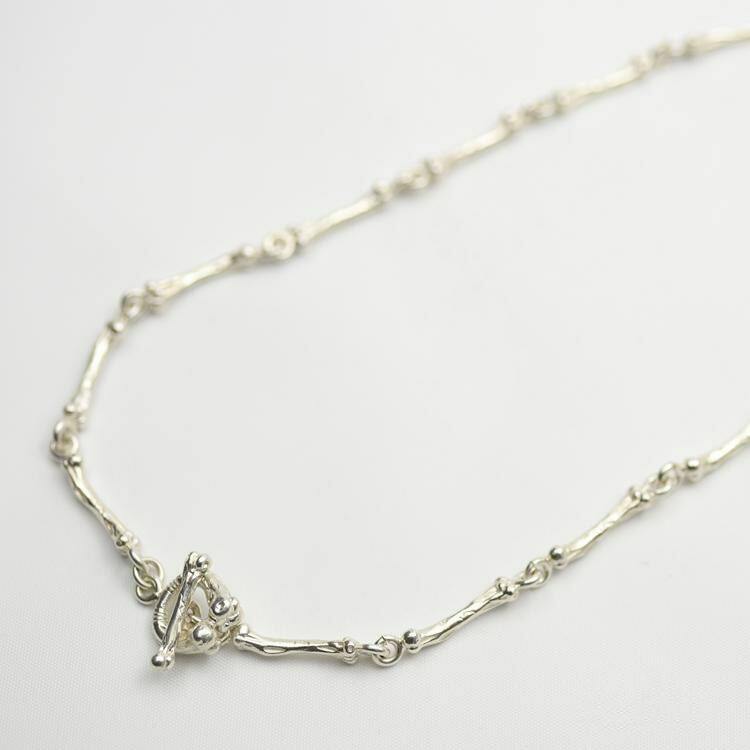 No usual chain links in this necklace. 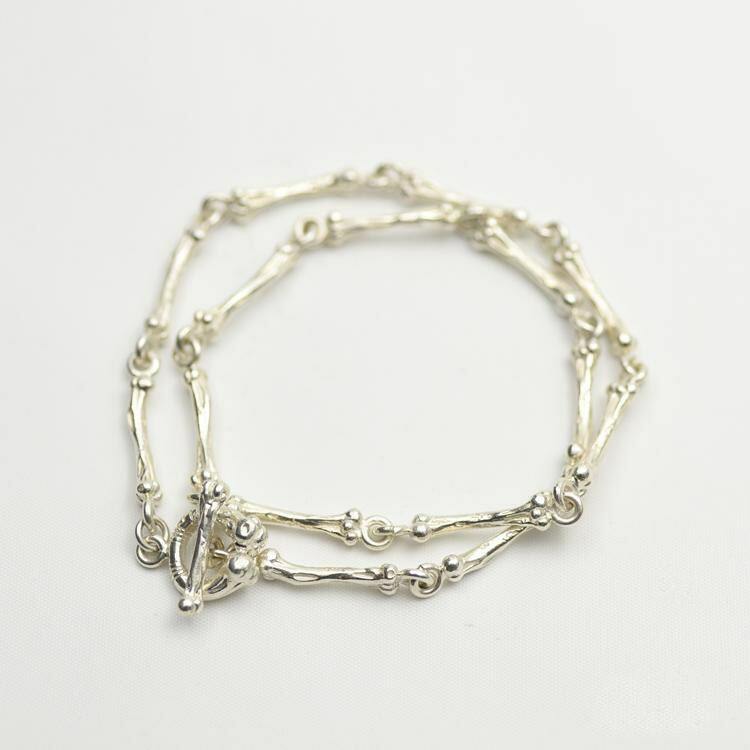 Instead, the structure of the chain consists of a number of silver bones, joined end to end with tiny silver links. The closure of the chain is another set of stylized silver bones. One silver bone works as a bar, and fits into a silver bone bent into a ring shape. Chunky and solid - this silver necklace is totally OTT. Don't wear it if you want to stay invisible. 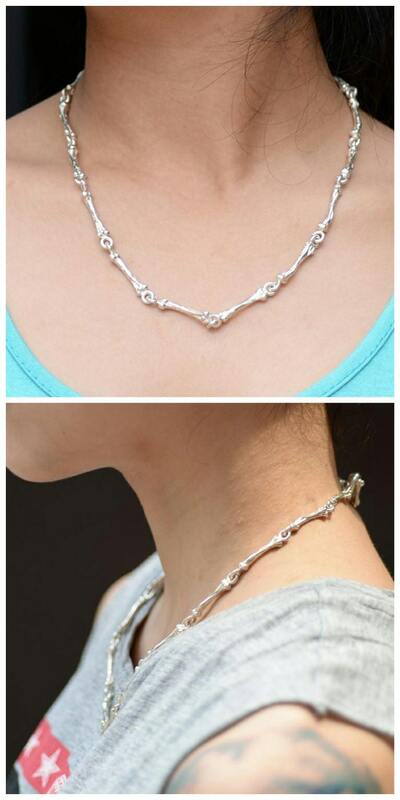 If you are a fan of gothic jewelry, you will surely like this silver bone links necklace. FYI: The model is wearing a 45cm/17.7inch necklace. 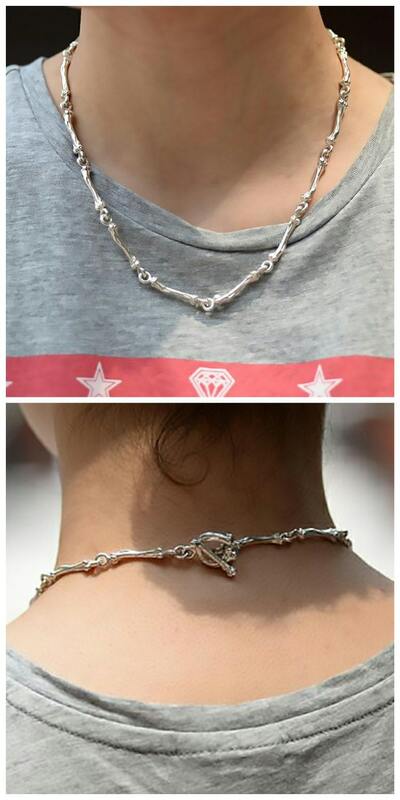 Length of Necklace: 45cm/17.7inch, 50cm/19.7inch, 55cm/21.7inch, 60cm/23.6inch. Each silver bone is about 2.5cm/1 inch.